I don’t have any experience with the scheduler myself. I haven’t used it because I typically set up in the field and set up my run right there. I do know they were working hard on updating it. Recently I have just been focused on Mac specific issues, particularly build ones. If DBUS is working now, then this is something else. A really easy way to tell if DBUS works would be to go into the kstars script editor, select to add the “zoom in” function and then hit the play button. If it zooms in, then DBUS is working. Can you please make sure it is? Based on what you said so far, I suspect that it is working, but you might double check. In terms of the scheduler, Jasem or Eric can probably help you more now. If they find a bug and fix it, then I can make another dmg. Do note that they did make a lot of changes, maybe something has changed in the settings or how you are supposed to set it up? It would be related only if the meridian flip relies on dbus in order to perform something related to the flip operation. I can't check right now to see if this is the case, but it could be. I would say try it and see. So the scheduler relies on DBUS in order to function. When we switched to using craft instead of homebrew for building kstars for Mac , we used the craft recipe for building dbus. About 2 weeks ago I found out this was a problem with a similar bug report to yours because apparently the dbus built by craft did not start properly. So I worked on a new recipe for DBUS. It worked. I just built a new dmg for KStars 3.2.0 which contains the new working DBUS. Please try this today to see if it fixes the issue. This sounds like a good plan to me. We will keep paying a lot of attention to craft because that is the way KDE packages up their apps and the INDI project is being managed by many of the same folks that are working on KStars. I don't think the recipes are 100% done yet, but they are definitely good enough to use to distribute stuff for now. This does allow us to largely ignore home-brew. I would like to get away from it entirely but there are still a few things that I haven't perfected the recipe for. If you want to make some revisions, we could start working on a nice package with INDI specifically for OS X that doesn't include KStars. There's just a couple of things. 1. I spent a lot of time making sure that everything could be packaged up in an app and then distributed and moved around to different places. So a number of the drivers need environment variables to be set in order to find the appropriate firmware files and similar things, unless they are in their homebrew locations. Right now in KStars, I set those environment variables at run time when KStars launches an INDI Server. This is really great because the user doesn't have to have homebrew installed, and they can put the app bundle anywhere they want on the computer. But any time the INDI server is run, they need to be set properly. Without KStars, what is the plan for setting this information? 2. In regards to #1, it might be good to develop a new program with a GUI to run an INDI server, or to use the old one that Peter made with updates to it. Thoughts? 3. Note that they are thinking of splitting the INDI repo into two parts. This won't cause any big issues as far as I can see, except that it will require that the recipes be updated . So if you do start with my recipes and/or scripts, please note that I plan to update them as soon as this change happens. 4. I am planning to submit my craft recipes to KDE as soon as they are ready. I did a lot of work on them last year and in January, but haven't worked on them since then. I have been really busy. I plan to look at them in detail again soon. Once I submit them, the script will become a lot simpler because it won't have to copy in the recipes I wrote, it can just use the craft recipes because mine would be included in there too. So when I do that, the script and recipes will change a bit. That should be it. None of this would cause any major issues I don't think, but it is important to keep in mind moving forward since the scripts/recipes would need to be updated later if you write them now. I think the biggest thing is the question of whether a GUI is needed? If so, it can be done with QT so it could be cross platform, rather than just for Macs. Or we could start with a similar program to what Peter had done. Or do you have another idea? Please see the latest version of my document "QuickStart READ FIRST" that I distribute with the MacOS DMG. It explains where every file is located and what you would need to do to completely delete or reinstall kstars fresh. That’s not a problem, take your time. We originally used homebrew to do the whole thing, but the kde stuff on homebrew is a bit finicky. I found that one day it would build fine, but then another day they would have serious issues I would need to report. Also homebrew doesn’t actually support building for distribution so it ignores any request to set the min OS X version build variables. We can build INDI with homebrew but it will only work on computers equal to or newer than the build computer. We can’t reliably build kstars with homebrew. Did you get a chance to look at any of the recipes/scripts? I was waiting for you to get a chance to take a look at them before I did anything further. Note that there is a discussion to change the organization of the indi drivers into more than one repo. I'm pretty sure this will not impact the scripts too much, but it will change a few of the commands and maybe require a new recipe or two. (Really just copying and pasting another one and editing it slightly). So it might be good to wait a little bit before making the changes. I might build a new version of KStars/INDI though before they make those changes to the repo just so users can have the latest version before a major change happens. If you want to use the new full field focusing method, it has a ring-field focusing option that automatically rejects stars in the middle and at the edges. galaxies or nebulaes can be mistaken as stellar object which often lead to erroneous HFR reporting. This can only be used for full-field focusing." My guess would be that those who are coming from a linux environment would consider a homebrew recipe to be simplest. And those who are coming from a mac os x environment and have never seen homebrew before would find the method i have been distributing kstars ( in an app build with craft and then distributed in a dmg that they just have to drag and drop to their system to install) to be the simplest. With the old OS X build script that we developed back in 2016-2018, I built using a Mac OS X 10.11 El Capitan computer so that the binaries would be compatible with all subsequent systems. When QT ended support for anything less than 10.12, I had to speed up the work that I was already doing on craft so that we could get a completely craft-built kstars and INDI. The issue was that my build computer could not be updated to 10.12 and my new MacBook is running Mojave. Homebrew does NOT support building on a newer system and running the binaries on older systems. But craft can support that using the macosx-version-min build flag you mentioned. So far that mostly seems to be working fine. Though we might be having an issue with one of the binaries associated with either python or astrometry.net, but I'm looking into that. INDI has been working perfectly using craft. My build scripts do not require a complete Xcode installation. They also can run automatically on your system. This could easily be modified so that it just builds INDI if desired. But note that I haven't updated this script since I started relying solely on the craft version. I did make some changes since then. I made a better way to build the 3rd Party libraries before the 3rd Party drivers and we also have added a few more drivers. So this script does need some updating. I can easily do that if you think you would like to use homebrew to build INDI. So yes for a start, you could take a look at one or both of my build scripts. Also I can create a new homebrew based build script for just INDI leaving out KStars if you like. That is just a matter of copying and pasting and updating a few outdated lines of code. Then we can think about where to go from there. Also, it does not have to be just one solution. There is no reason we can't maintain a homebrew recipe or build script at the same time as we have an app out there like the INDIServer app. 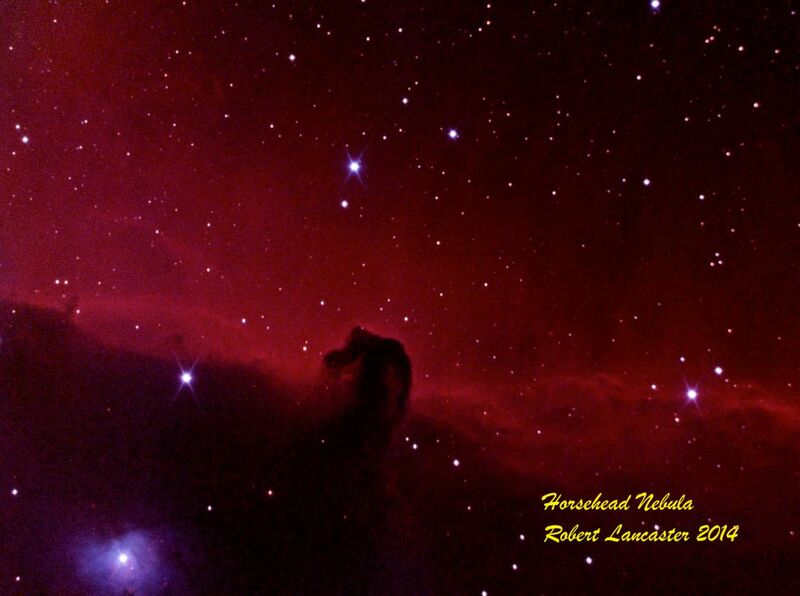 Even though I am relatively young, I have been an astrophotographer for about 20 years. Within the last 5 years or so, I have taken my hobby to new heights. I built my own 10 inch telescope including grinding the mirror, bought a wide field newtonian for wider fields, acquired a much better mount to put them on (separately), got an SBIG camera for cooled CCD photos, modified a Canon XSi for better DSLR photos, and got lots of accessories. I have been doing all of my astrophotography with a Mac computer. I have basically made my own portable observatory, everything is carefully organized into boxes that I can load into my car in about 20 minutes. I take these things to dark skies and do lots of imaging at star parties. I found out about INDI in May 2016 when Pleiades Astrophoto sent me an email about including an INDI client in their software. When I investigated further, I found out about KStars and Ekos. I quickly realized that I could install everything on a Raspberry Pi, velcro that to my scope, and use VLC to configure it from my computer using wifi. I have implemented 2 modes. The first is using the Raspberry Pi as an INDI server and using my Laptop as a wireless client using either the EKOS VM (running KStars and Ekos) or PixInsight as the client software. The second is using KStars and Ekos on the Raspberry Pi and controlling everything through VNC. Both methods have allowed me to cut the cords, move to WIFI control, and make all USB connections shorter. The second method also allows me to put my computer to sleep after I have configured the PI to do all the work. All I have to do is check in once in awhile to make sure it is working properly. So far this experiment is going very well, but I did have to work out quite a few issues along the way. I have been keeping a couple of logs of everything I have done to make it work, however, which is very useful. There are still a few problems, but the system is fully functional. It is a good thing it is summer so I have time to work on this! The remarkable part is that you can automate your astrophotography setup, make the connection wireless, simplify the software by just running one program (KStars/Ekos) that runs it all, and you can make the connection to the devices separate from that program using INDIServer. (The last item is important because if KStars/Ekos were to crash, the devices would still be running on INDIServer.) And all of this will cost you around $100 including the Pi, a case, a 32 MB microSD card, the software, and a powered USB hub. There was a bit more work involved in setting it up and figuring it all out, but it was worth it.